Living the Dream with old and new. No comparison, I'll take the '68 anytime. 1 of 1 1968 coupe. Re: Living the Dream with old and new. Hi Guys. That was my 68 used in the footage. Ford selected my car through the club a few weeks ago and we filmed it at Yarramalong NSW. Filming took 5hrs to get the few minutes that was used. 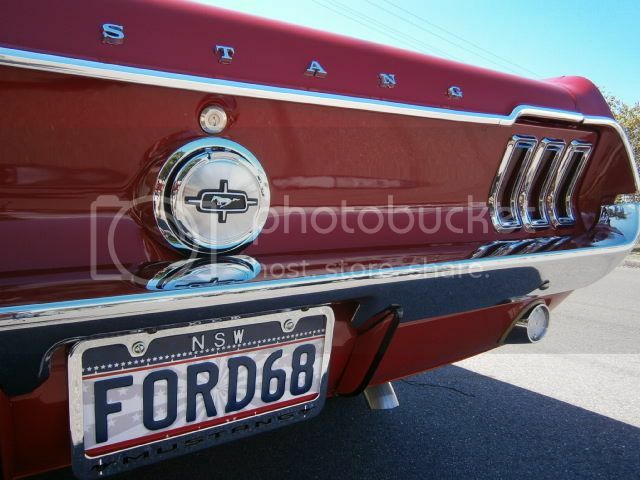 The new car was filmed around Bulga NSW a few weeks prior to that. Hi Guys. That was my 68 used in the footage. Ford selected my car through the club a few weeks ago and we filmed it at Yarramalong NSW. Filming took 5hrs to get the few minutes that was used. Hey Brendon very cool, your car looks sensational in the video. Hi Andrew. Thanks mate. The film crew was pretty impressed when they turned up and saw the car then drove it around for 5 hours! Really the filming did take 5 minutes. They just drove your car around telling you it was taking five hours. God I miss my 67 Fastback (still tragically lurking this forum 3 years after I sold it) Sadly Santa did not bring me another for Christmas.